The Homosassa River–and particularly the Springs–are the winter home to a large manatee population. From November through April you have a very good chance of not only seeing manatee in their native habitat, but it’s also legal for you to swim and interact with them in the water. These gentle sea cows (as manatees are sometimes called) usually relish this interaction with humans and will often swim up to people in the water, roll over and let you rub their bellies. As a species recently taken off the endangered species list there are several common-sense rules to follow while enjoying the manatees. We offer guided tours of the Homosassa River, providing a high likelihood of encountering and swimming with manatees. Since the manatees move from place to place based on water temperature and food supply there is no guarantee that you will consistently find them at the same location every hour of the day. You’ll be transported on one of our premium pontoon boats guided by an experienced and licensed Captain. We limit our tours to groups of 6 or fewer people and yours will be the only group on the boat. We understand that not everyone wants to don a wetsuit during the winter months and jump into the water to swim with the manatee. Our captains will get you as close to the underwater world as you can get while still enjoying the warmth of your dry clothes aboard the boat. Homosassa Springs Marina is only 1 mile from the Springs and our boat will get you there in under 15 minutes. 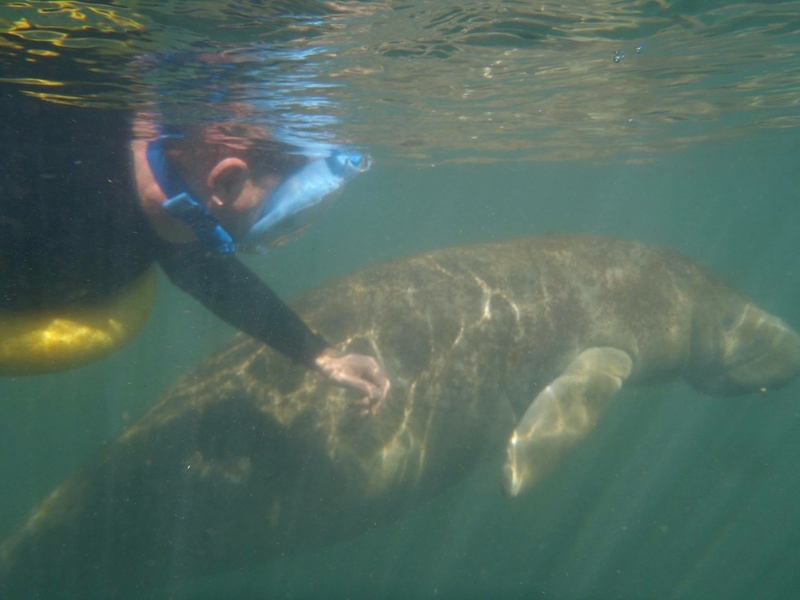 If we see manatee along the journey, the Captain will stop the boat and allow those who want to snorkel with the manatee to get in the water and interact with them. 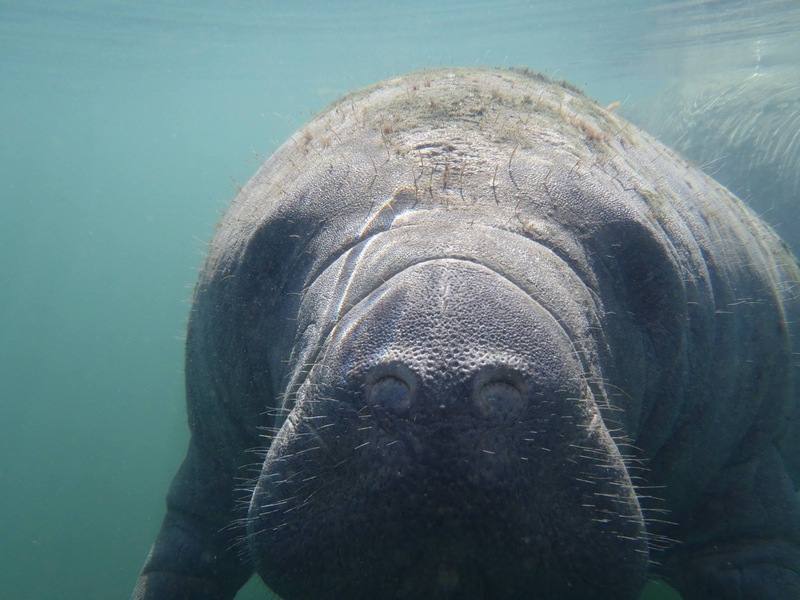 We provide our swimmers with “noodles” to make it easy for you to float in place while enjoying your manatee encounter. You’ll also want a mask and snorkel and usually a wet suit to keep you warm in the winter waters. We rent all of the gear you’ll need to enjoy your experience (or you may bring your own).